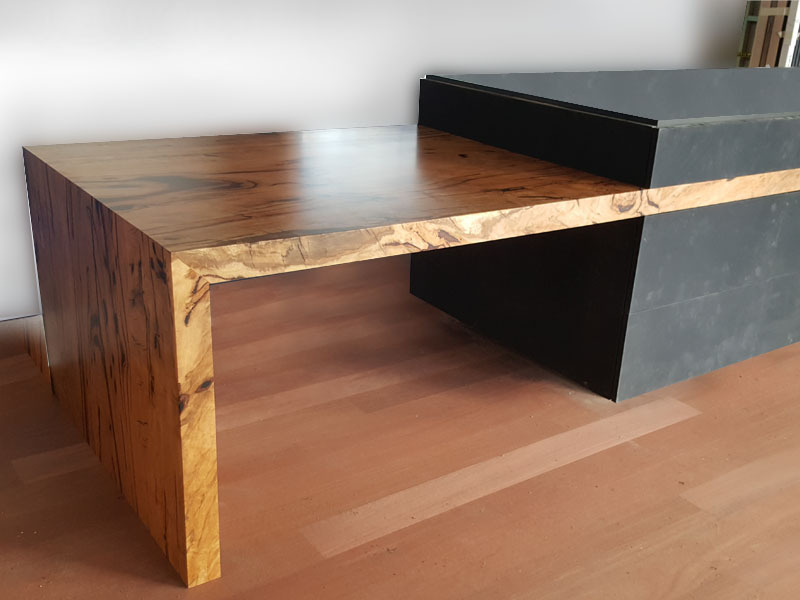 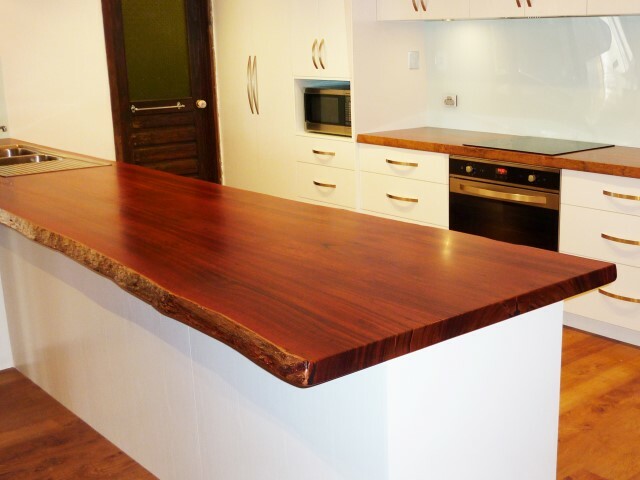 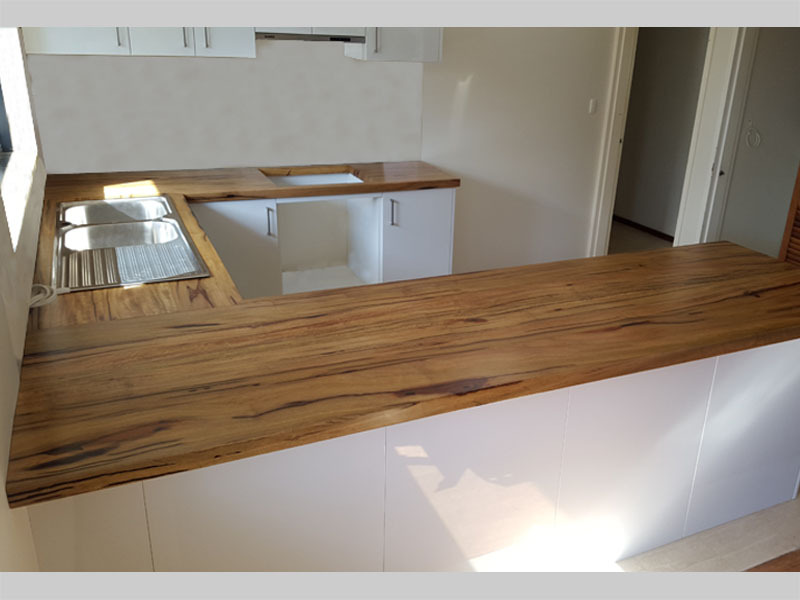 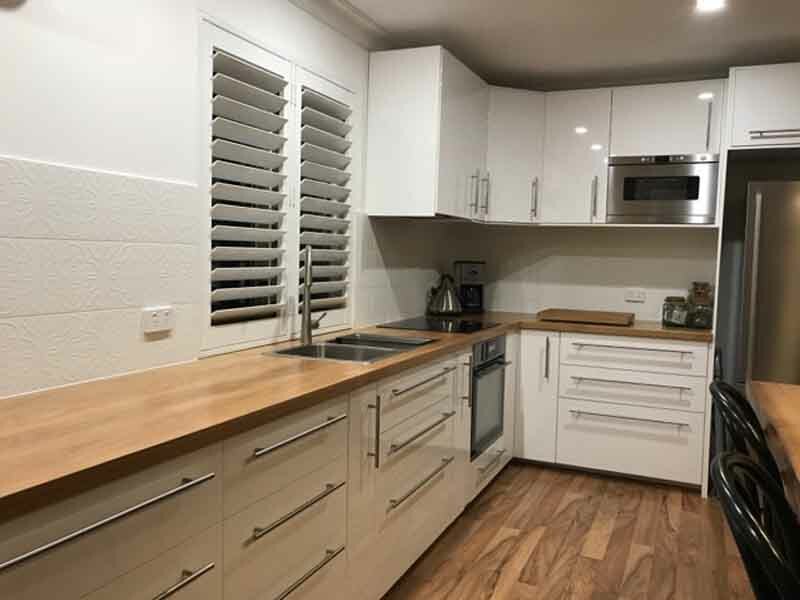 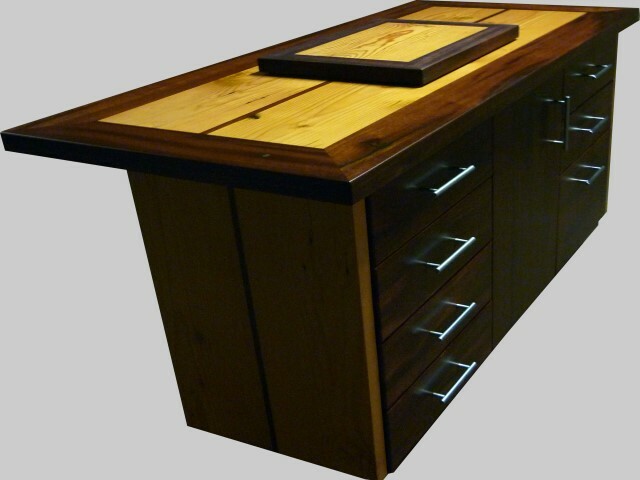 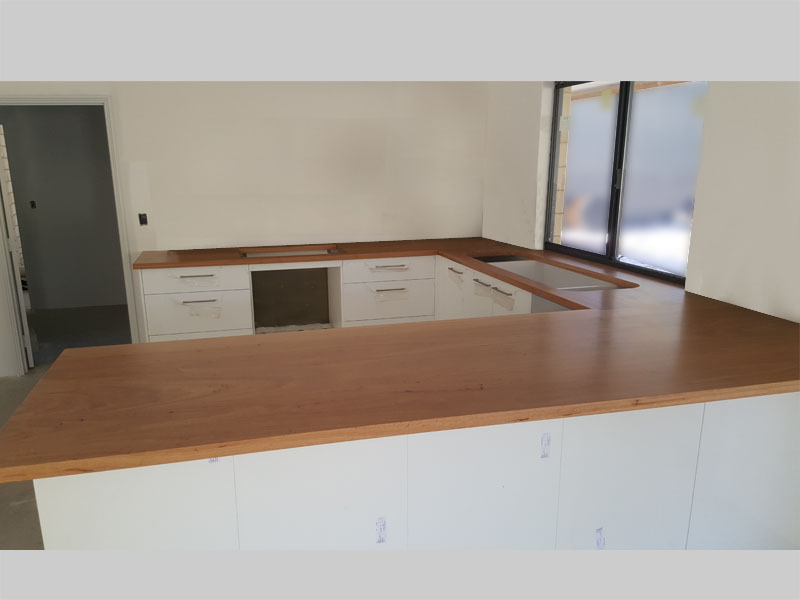 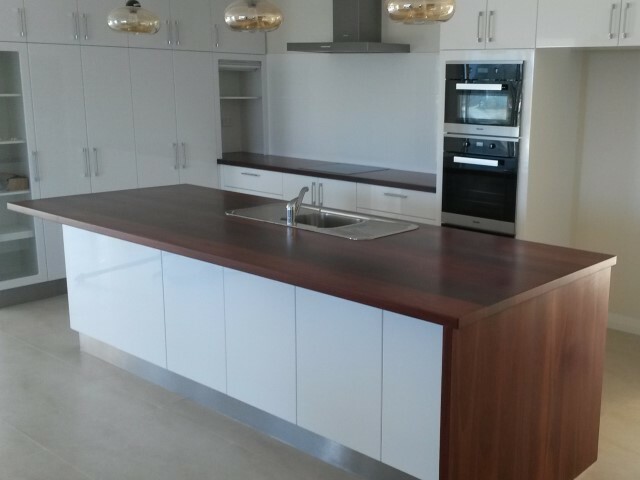 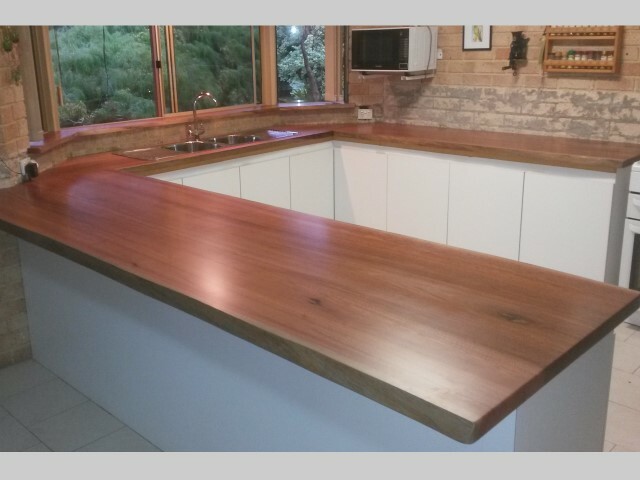 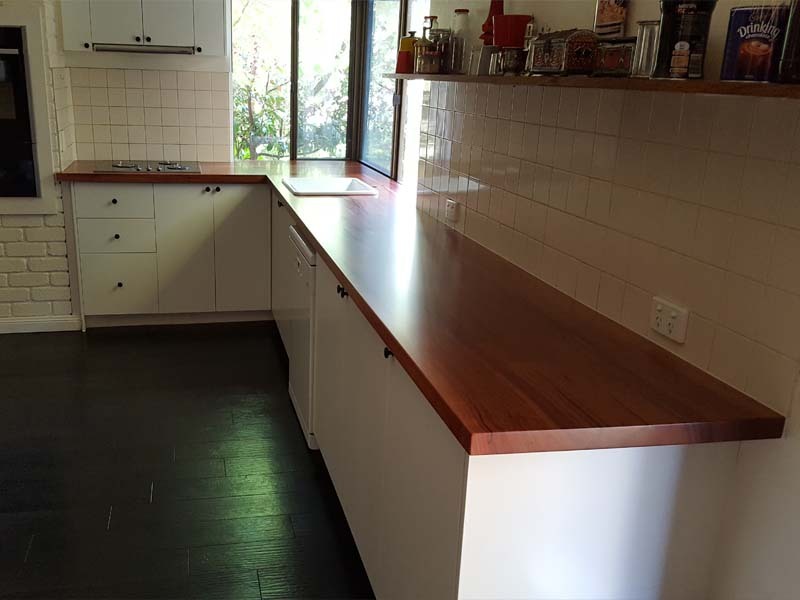 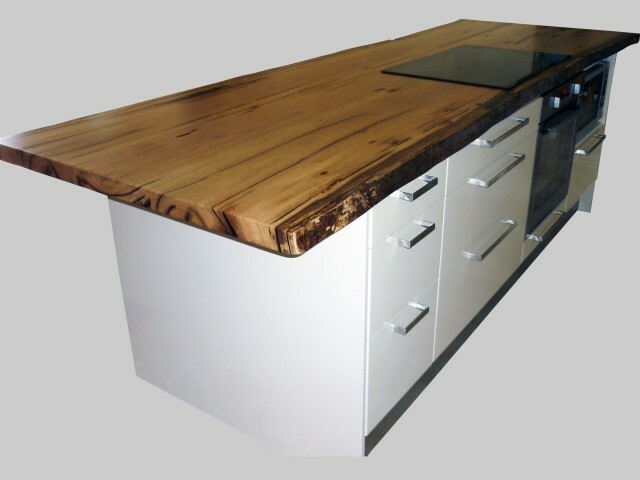 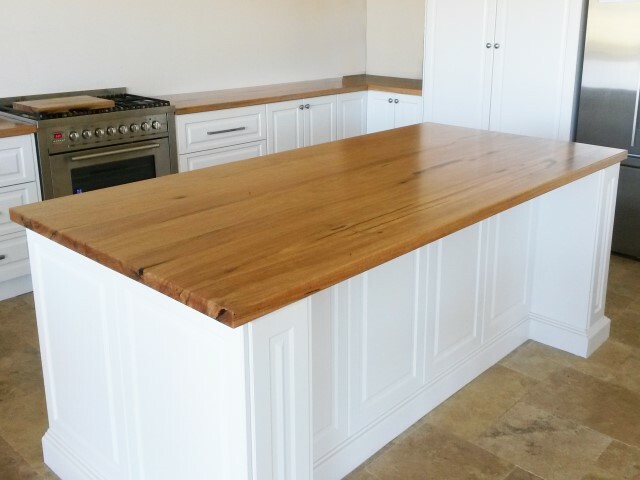 The natural grains in a solid timber bench top creates a unique quality feature in your kitchen. 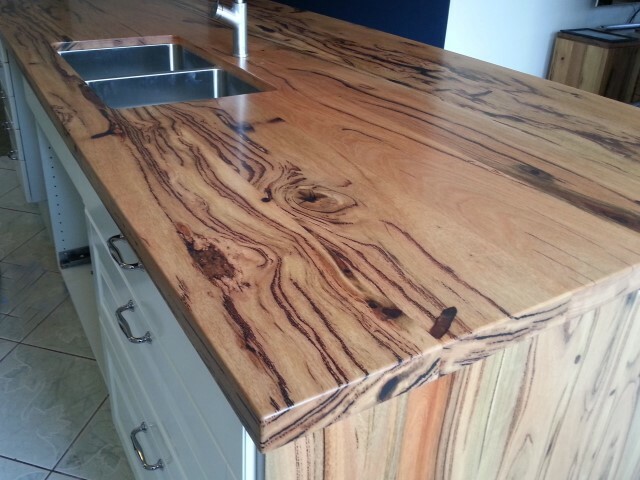 Our clients tell us their tops attract many enviable comments from visitors. 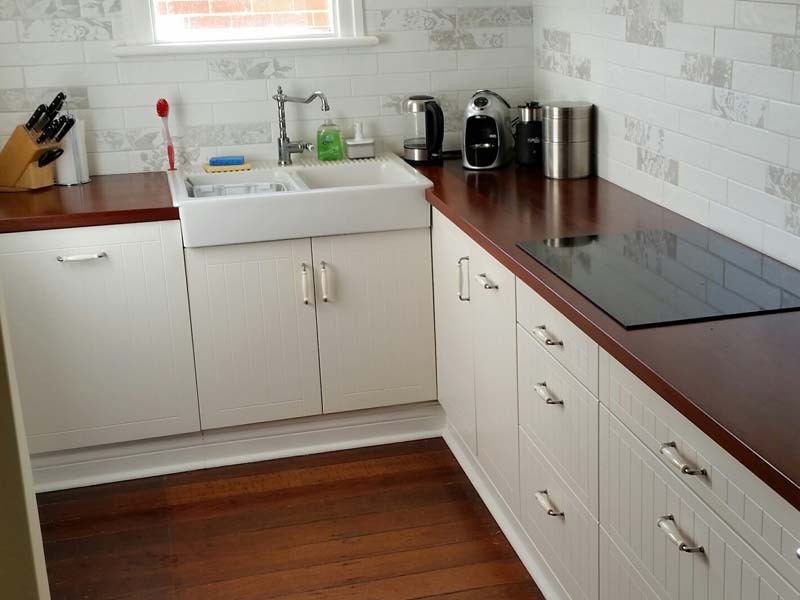 Beautiful and practical at the same time. 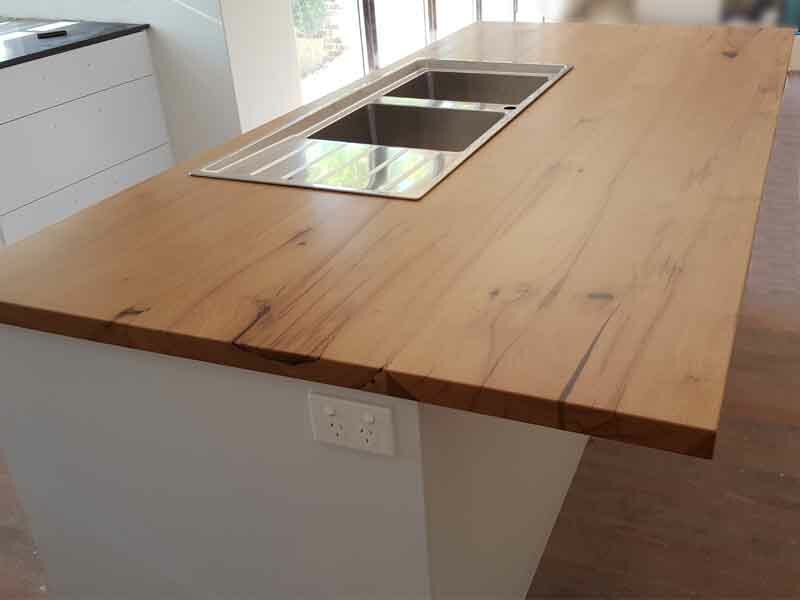 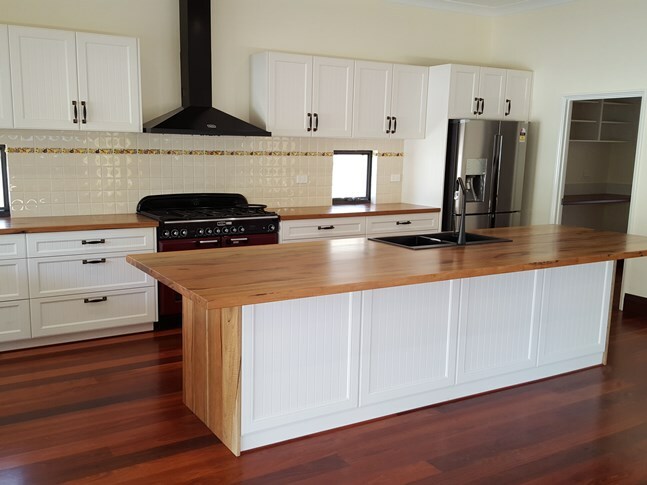 Different timbers and designs can be utilised to create the desired character in your kitchen – light or dark coloured timbers, featured or straight grains, waterfall or conventional end panels, straight or natural edges. 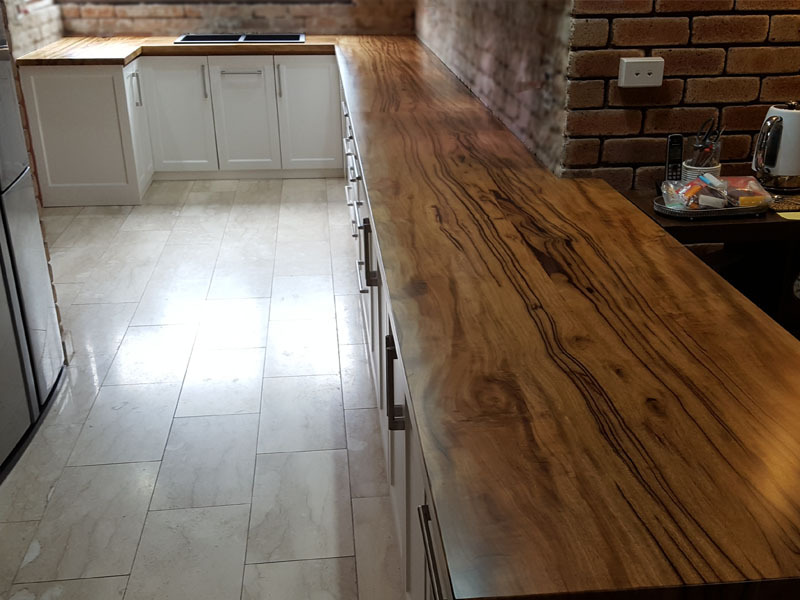 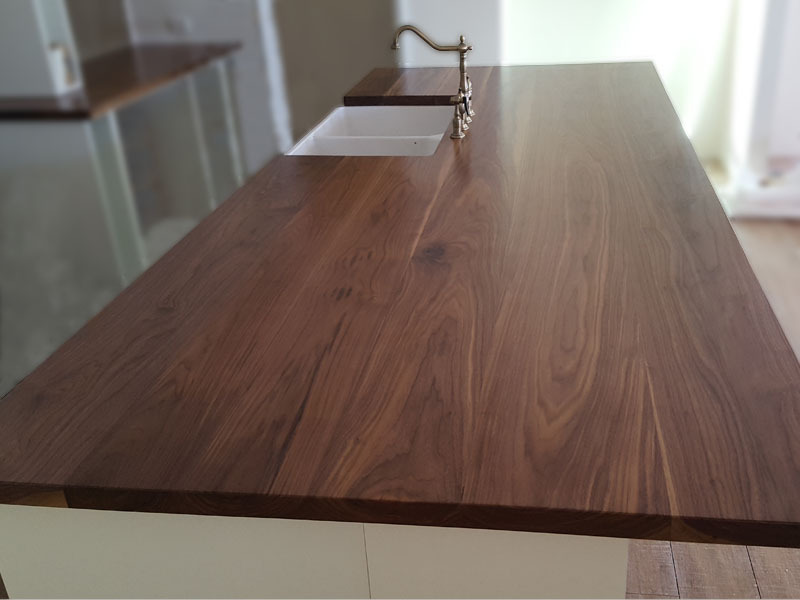 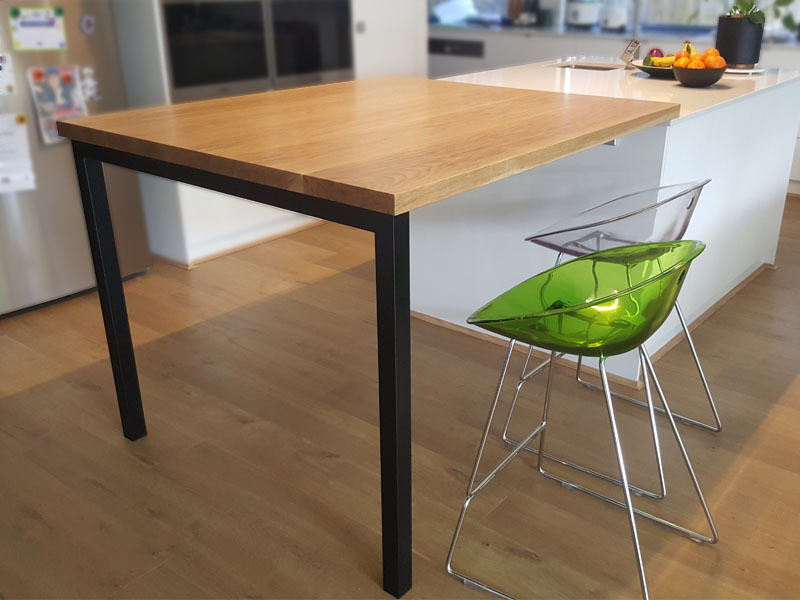 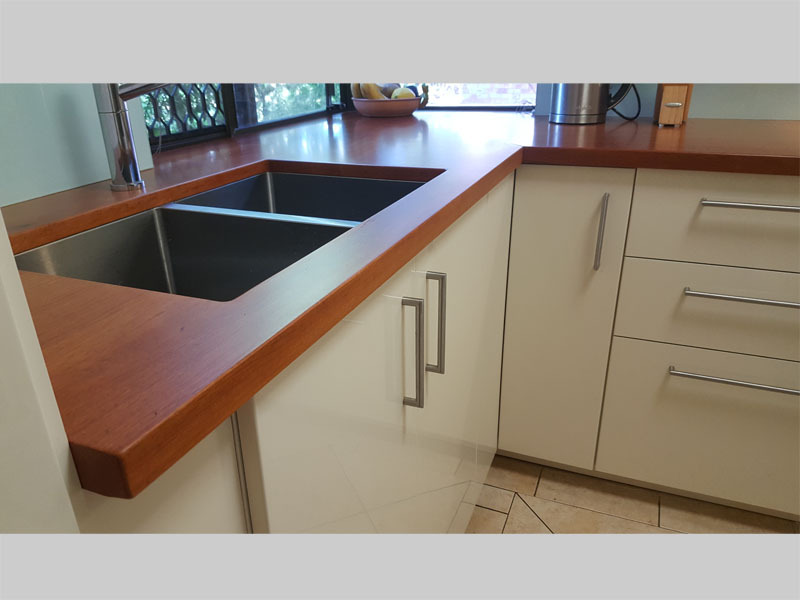 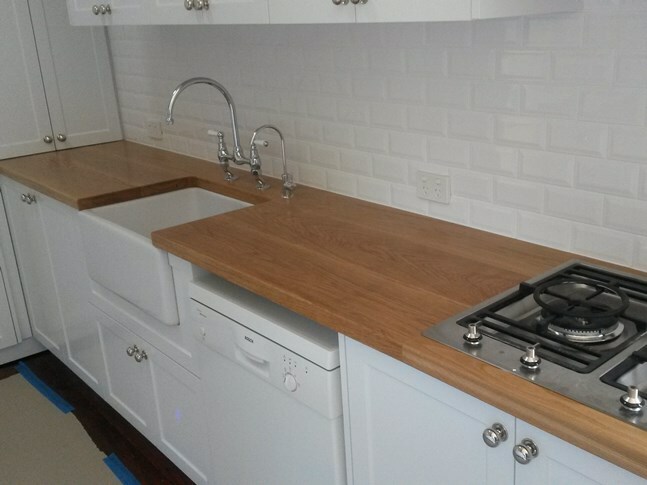 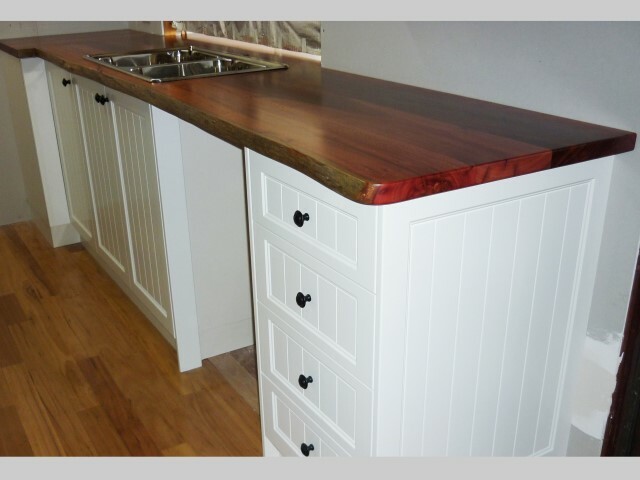 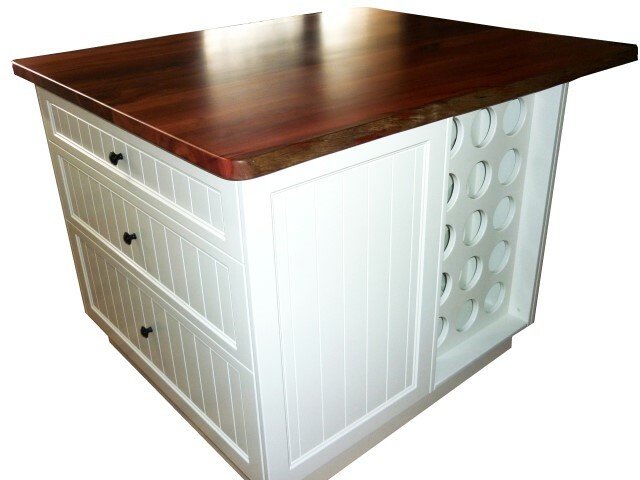 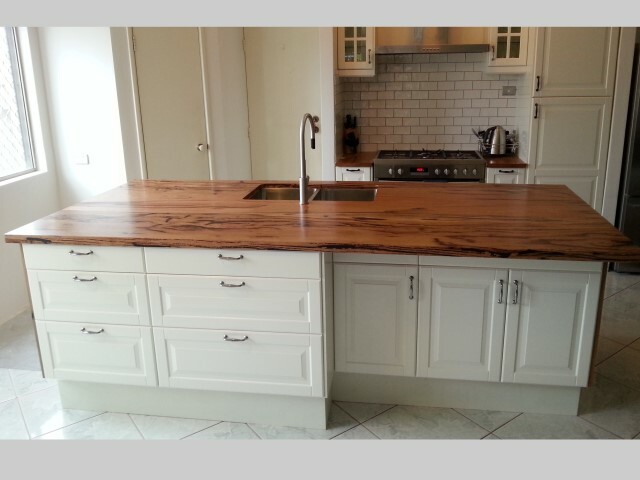 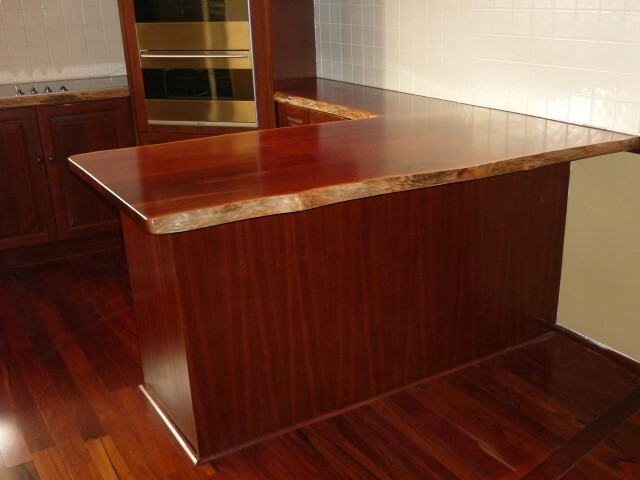 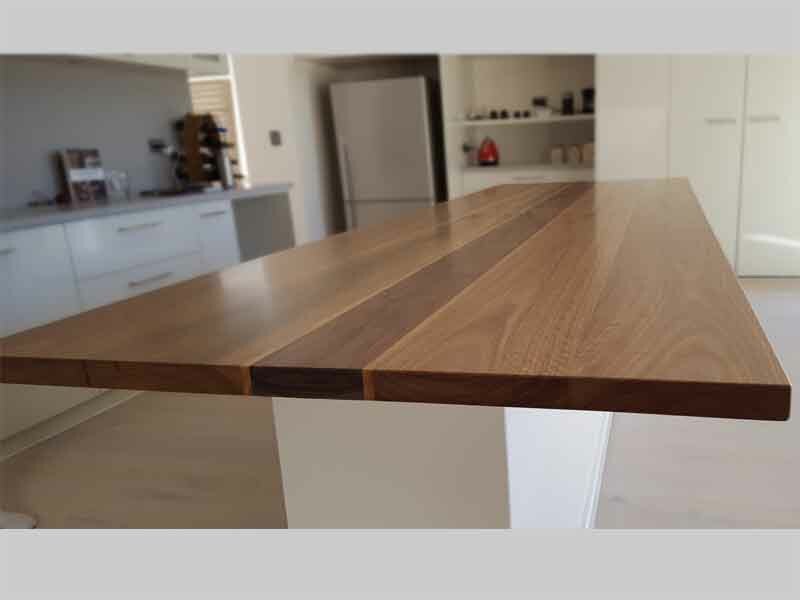 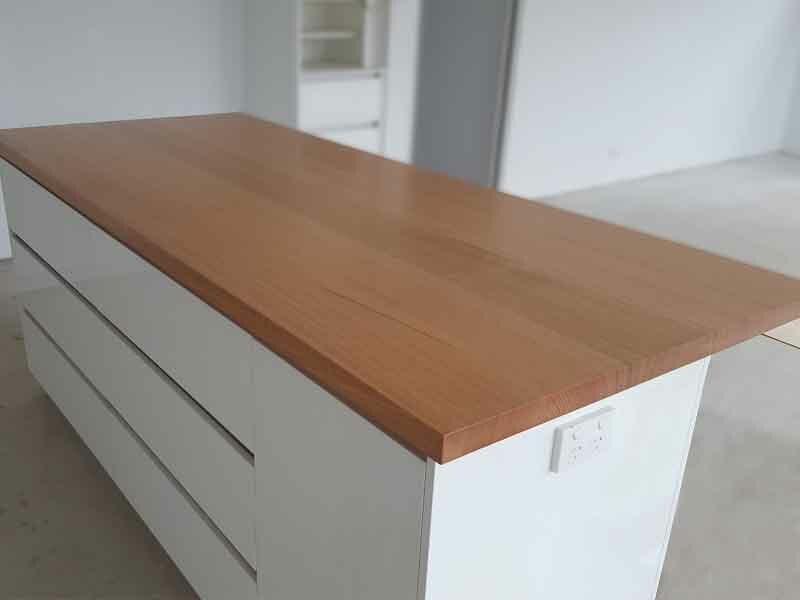 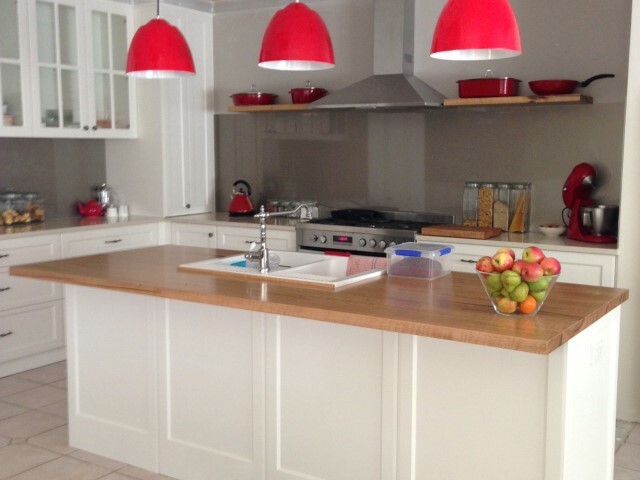 Most of our kitchen bench tops are finished using a two component polyurethane which is extremely tough and durable and resistant to heat and most liquids under normal use.